If you landed on this page because you are locked out of your car, and you are trying to get back into it, then just know that I feel your pain. However, you should know that a locksmith will be able to help you gain entrance into your vehicle, so you do not need to worry for long. It is only natural for you to wonder how much a locksmith charges to unlock a car, after all, you are in need of the service. It is completely understandable as to why someone would ask how much does it cost to unlock a car. The straightforward answer to how much does it cost to get your car unlocked is simply that there is no straightforward answer. Now, settle down, before you get riled up allow me to explain the reasoning behind this statement. The price for any locksmith service depends on a few factors, but the most important factor is the service that you will need from the auto locksmith. Due to the varying nature of car lockouts, there are a few different ways in which the problem can be rectified. The type of service that you need will depend on the manner in which you got locked out of your car. Each of these problems requires their own processes and their own tools, and this means that some might take longer than others, hence being more costly. For example, if you locked your keys in your car, the solution to unlocking your car will be different than if you broke your car keys. As I attempt to answer the question of ‘how much does a locksmith cost to unlock your car’, I will walk through the various car lockout types and talk about the way these influence cost. If you have been in a car lockout on multiple occasions you might be extremely unlucky, or just rather forgetful. Regardless of what your character traits may be, you will probably understand, better than most, that there are several different ways to lock yourself out of your car. Each of these possibilities has their own solution, which is why there are several different ways to answer how much does it cost to get your car unlocked. Although some of these solutions might be similar in some ways, when it comes down to the finer details things will change. Let’s take a quick look at the different car lockout types, and then we will jump right into how much does a locksmith cost to unlock a car. If you have locked your keys in your trunk there is absolutely no need to worry, it is actually a very common occurrence. So many different things happen throughout the day that sometimes it is possible to get sidetracked and lock your keys in your trunk. For instance, this could easily happen if you were loading groceries into your car trunk and your keys slipped in without you even realizing. Do not fret, a locksmith will be able to help you get back into your car and grab your keys in no time. However, you should keep in mind that the fact that your car keys are locked in your trunk does not necessarily mean you are locked out of your car. 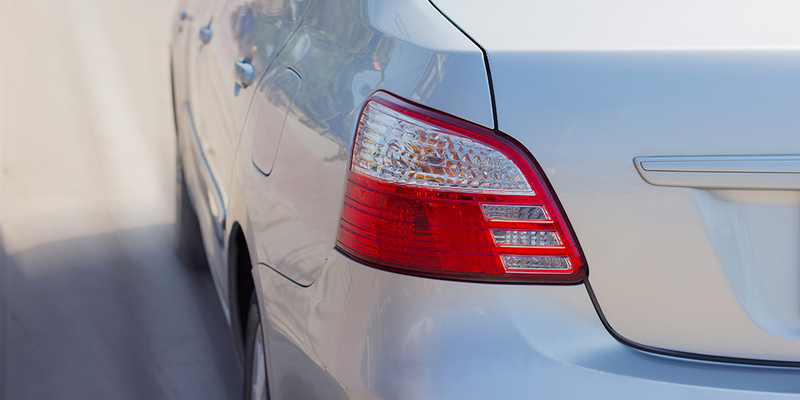 If your car doors are open, then you will probably be able to gain access to your trunk. So make sure you check to see if your doors are open before you begin pondering on how much does a locksmith cost to unlock a car. It is important to be mindful of the fact that not every car is manufactured to the same specifications so some car trunks might be much harder to get into than others. This factor will influence the price point of the service offered, but not in any drastic way. Also, it is crucial for you to be aware of whether your trunk is deadlocked or not. In most scenarios, the average car owner does not know this until the locksmith points it out to them. Deadlocks offer an extra layer of protection on some vehicles, but they also make the unlocking process much harder for a locksmith. It can be done, but it is much more difficult and time-consuming than unlocking a regular car trunk lock. Broken car keys are a common occurrence among drivers, and it is one that can potentially leave you locked out of your car. This is something that homeowners deal with a lot more frequently, but there is always a chance that it could happen to you and leave you locked out of your car. A broken car key can easily be remedied if you have a spare car key on hand. However, if you do not have one a locksmith will have to help you replace your key so that you can use your vehicle once you get back inside it. Broken car keys are usually a result of excessive use, wear, and tear, or the application of too much force. If you are locked out of your car because of a broken car key, make sure that you do not continue trying to unlock your car with it. This can potentially result in a damaged lock, which will be another burden that you will have to take care of and this usually means an increase in the emergency locksmith cost. When it comes to approaching the issue of a broken key in a lockout, you need to realize that you will be paying for much more than just your broken key. Allow me to explain. Even if a locksmith is able to help you unlock your car, you will most likely not be able to operate your vehicle due to the lack of a working key. In this instance, the cost of making a duplicate car key, or a spare key, will have to be factored into the locksmith cost to unlock a car. Key making has its own parameters and costs. If you are locked out of your car because of a broken key, this cost has to be considered. Like I said earlier on, this issue is easy to rectify when a spare key is accessible. If you have a spare key stashed in your vehicle, then the locksmith will be able to help you gain access to it. In summary, you will have to pay attention to the locksmith cost to unlock a car, as well as the cost of a car key extraction. 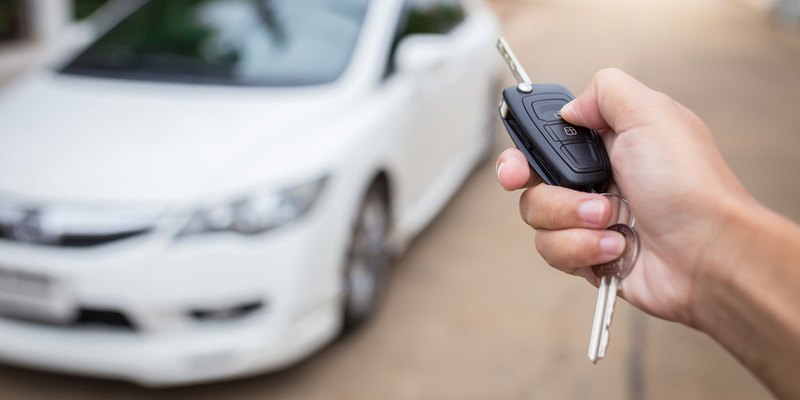 For cars that utilize transponder keys, it is possible that you might get locked out of your vehicle due to issues that might arise with your transponder key. Transponder keys rely on communication between integrated chips to operate properly. This measure ensures that there is an increased layer of security and verification in place. Issues that arise from problems in the transponder key range in their varying degrees of difficulty to solve. 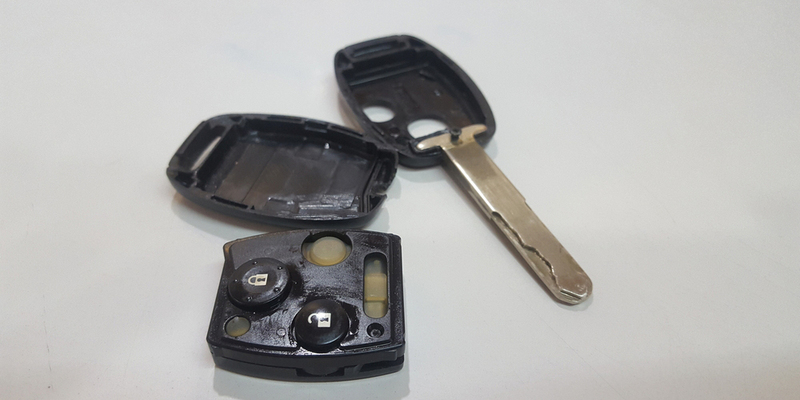 For instance, if the batteries in your transponder key are dead, that is a rather easy problem to fix, and one that you might not even need the help of a locksmith to do. However, if it is because your transponder key has not been properly programmed to your vehicle, then you will have to consult with an automotive locksmith. This is a very common occurrence, especially among people who get additional copies of their keys made. Transponder keys are more widely used in newer vehicles, and their technology makes them rather unique. If you are locked outside of your car because your transponder has not been properly programmed to your vehicle, a locksmith will still be able to unlock your car. However, you will have to get the transponder key programmed in order for the key to work with your vehicle. The additional cost of programming a transponder key will have to be considered when you are attempting to answer how much does it cost to unlock a car. How much does it cost to unlock a car? There are several different ways of approaching this question. In order to approach it in the right manner, you have to take a look at the base cost for contacting a locksmith for an auto lockout, and then you have to factor in some of the things that will make this price change. As I pointed out above, the cost will differ depending on the nature of your auto lockout. How much does a locksmith cost to unlock a car? The base cost to unlock your car with an auto locksmith will always start with the $15 service call. From there, car lockouts start at $35, with the potential to increase based on the complexity of the overall job as well as any other contributing factors. This totals up to a base cost of $50. If your car keys are broken and you do not have access to a spare car key, you will need to factor in the potential cost of making a car key. Keep in mind that you do not necessarily have to get your car key made with the locksmith so disregard this final cost if you do not intend to. The locksmith cost to unlock your car if you have a broken key starts at $170. The reason for this price is the inclusion of the service fee and the base cost of an auto lockout call, which potentially means that your final cost will begin at $170. For car lockouts that are a result of broken car keys, you might also have to factor in the price for a broken key extraction. This should only be factored in if your key happens to break off within the lock and there is still a piece of the key left inside. If this happens, then you will have to tack on the price of broken key extraction. The cost for a broken key extraction starts at $65. Essentially the answer to how much does a locksmith cost to unlock your car in this scenario can begin at $115. If you are locked outside of a a luxury automotive, you should know that the answer to how much does a locksmith cost to unlock a car will vary. The simplest way to explain this is by saying that most luxury vehicles are much different than other automotives. This is one of the things that makes them a luxury. However, this difference usually equates to a higher cost because unlocking luxury vehicles usually requires different methods and different tools. Most luxury automotives have enhanced security features that might make it more difficult for a locksmith to manipulate the lock and allow you to regain entry. If you take a look at any of the recent Tesla models on the market, you will see why they are being lauded as some of the most secure cars ever made. The security features that some of these vehicles have are equivalent to extra work when it comes to car lockouts, which means that it will be factored into the cost that you pay. Whenever you find yourself locked out of a luxury automotive, make sure that you take the time to find a locksmith that is able to help you. Not all locksmiths have the tools and equipment to tackle luxury automotive lockouts. How much does a locksmith cost to unlock a car? Well, I hope that you were able to find an answer to that question if you have gotten this far. Always be aware of the fact that there is no universal cost to unlock a door. Taking this into account will help you be better prepared for the service that a locksmith provides. Keep in mind that the scenario that results in your car lockout will be the primary factor that determines how much a locksmith costs to unlock a car. Also, consider the fact that cost does not always come with a price tag, so be cognizant of the fact that some other methods of gaining access to your vehicle might cost you more in terms of time, security and money.